WHAT?!! 'Phantom Ghost Fortress' B-17 That Landed at an Airfield - NO Crew Were on Board!! WHAT?!! 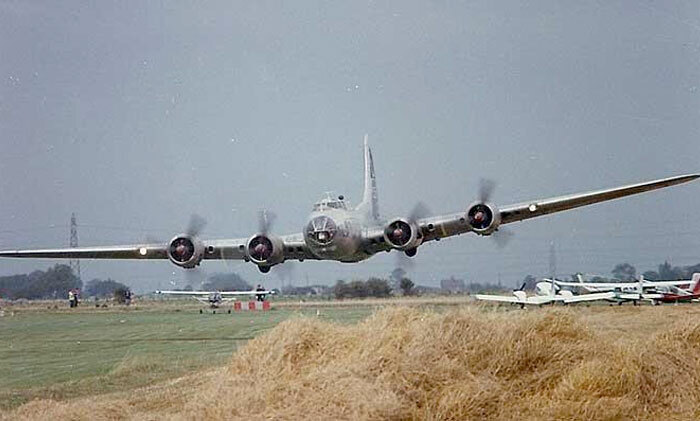 ‘Phantom Ghost Fortress’ B-17 That Landed at an Airfield – NO Crew Were on Board!! 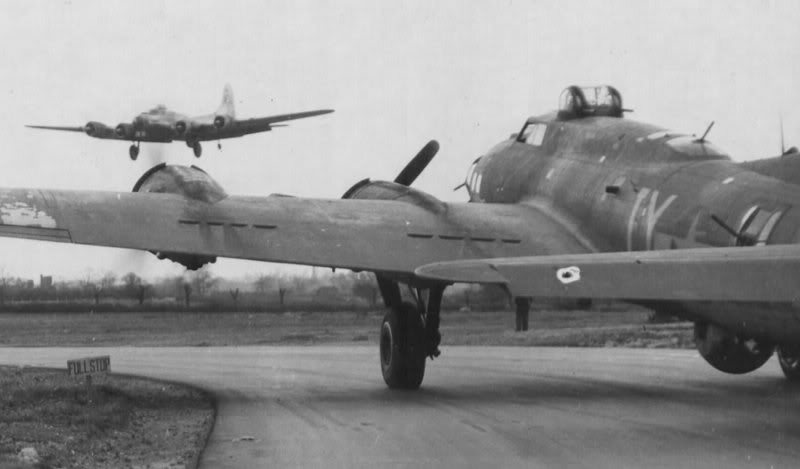 A B-17 Flying Fortress landed perfectly at an RAF airbase and completes the full landing pattern as well. The bomber comes to a full stop; the crew at the airbase waits……. but nobody is seen exiting the plane. As emergency crews climb aboard and look around; to their shock and surprise, they find no one inside. The only thing that is found is copies of radio communications and the written pilot’s log. In the log, the pilot wrote that the bomber was severely damaged and the crew was badly injured. But the Flying Fortress was not damaged at all and as impossible as it may seem, the RAF crew saw the plane flying and saw it land. They could never have imagined that the bomber was doing this unmanned! The airbase crew was startled to see a B-17 approaching their position with the wheels down. The B-17 landed just as they called their superiors. During the landing one wing tip dug into the ground, causing the plane to come to a bouncing stop about 90 feet from one of the gunnery positions. One of the propellers crumpled and stopped, while the other three kept working. 20 minutes after the B-17 landed, John V. Crisp arrived at the site. The propellers continued whirling, but even after this amount of time, nobody had debarked from the plane. Crisp went into the plane and apprehensively looked around. There was absolutely no one in there. However, there were signs of recent occupation. After some trial and error manipulations, Crisp successfully managed to shut the remaining engines down. Crisp wrote, “I then went to the navigator’s station. The bomber’s log was lying open on the navigator’s desk and written in the log was these last words – ‘Bad Flak’”. ‘During our search of the fuselage we found parachutes neatly wrapped, about twelve of them, and ready to clip on. This only added to the mystery and made the whereabouts of the crew even more inexplicable. In the Perspex nose of the B-17, the Sperry bombsight remained totally intact, with its cover sitting neatly beside it. The US 8th Air Force Service Command, headquartered in Belgium, sent a crew of service personnel to investigate. When they checked the bomber’s serial number, they find out that the B-17 belongs to the US 91st Bomber Group and astonishingly, the crew is already at their base in England. 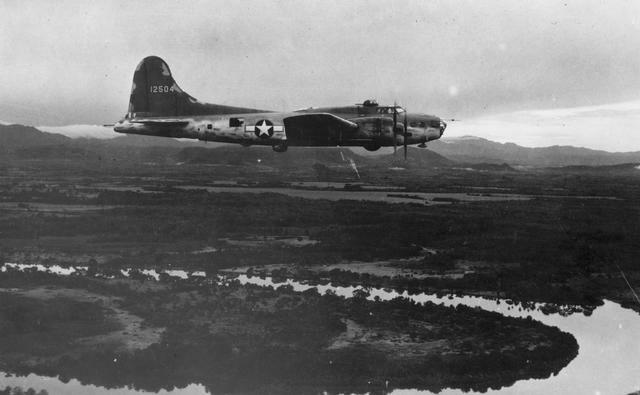 The B-17 Flying Fortress was on a mission to the Merseburg oil targets, including the Leuna oil refinery. The bomber developed trouble just before reaching the target area. The B-17 wasn’t able to stay at the same altitude as the other bombers in the group and in addition, the bomb racks were malfunctioning. The B-17 took a direct hit that put #3 engine out of commission and another hit to the center of the plane caused a tremendous flash of light. With bad weather coming and one propeller twisted, DeBolt headed for England. The B-17 obviously wasn’t going to make it back to Eastern England, the East Anglia landing zone, so he changed his mind. He set the coordinates for Brussels. The pilot ordered the crew to ditch all loose equipment and supplies to lighten the weight the plane was carrying. It was at this time that two engines stopped. DeBolt ordered the crew to bail out while he was putting the B-17 on automatic pilot; the last one to leave the plane. The B-17 bomber crew all landed safely and, believe it or not, so did their stricken B17. What the crew thought had happened after they jumped, was that, somehow, the engine trouble cleared up and the reliably designed, stable B-17 flew itself. The failing engines, however, couldn’t sustain altitude and the Flying Fortress came down as described by the British gun crew at the air base. To an uneducated eye the B-17 looked as though it was undamaged and what was thought to be the flight crew’s parachutes were probably additional chute packs. Throughout the war, there were several other accounts of B-17s that flew without a pilot, but the Phantom Flying Fortress was the only one that landed successfully, more or less intact – by itself! To anyone interested in reading and fully understanding the how and why of the 8th AF, the B17, in the ETO or PTO, tactics, etc. I highly recommend this book.